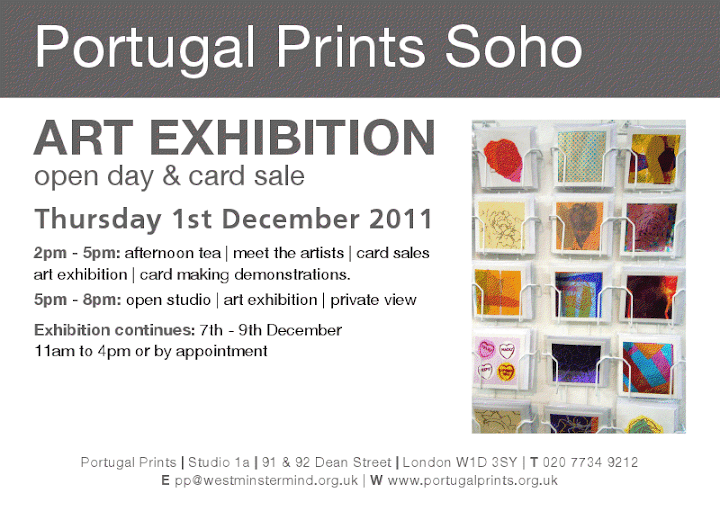 Portugal Prints (Westminster Mind), an innovative mental health project based in Central London, are having an exhibition from 7th-9th December. The opening night of the exhibition is this Thursday 1st December where you will have the chance to meet the artists, view their open studio and card making demonstrations. If you are free between 2-5pm then I recommend you get on down there as it will be aces. I won’t be able to get along until later but that’s okay as there’s also an evening private view from 5-8pm, so there’s really no excuse to miss out! Check out the flyer below and I hope to see you there.